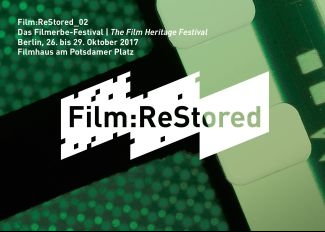 This year’s edition of the film heritage festival “Film:ReStored”, organized by the Deutsche Kinemathek in Berlin, addresses issues related with the digitization of film heritage. Besides the premiere of digitally restored films, the festival hosts a program of lectures and talks dedicated to key debates on audiovisual archiving. The Wim Wenders Sitftung will be present at “Film:ReStored” with a screening of ALICE IN THE CITIES (1973) and a lecture by Wim Wenders on the restoration works of the Wim Wenders Stiftung. The lecture will present the previous and on-going restoration work, employing key examples from THE GOALIE’S ANXIETY AT PENALTY KICK (1971), ALICE IN THE CITIES (1973) and WINGS OF DESIRE (1987).